Al Tanner does not work for, consult, own shares in or receive funding from any company or organization that would benefit from this article, and has disclosed no relevant affiliations beyond their academic appointment. In the 150 years since Charles Darwin recognised the kinship of all life, scientists have worked to fulfil his dream of a complete Tree of Life. 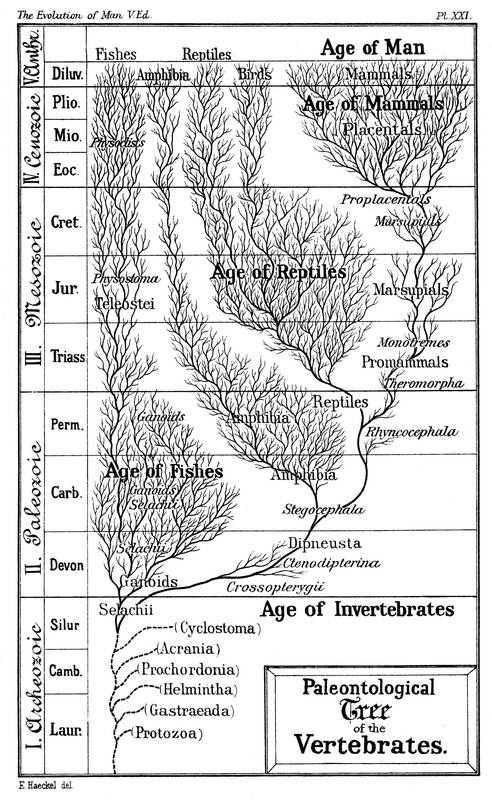 Today, the methods used to trace the evolutionary branches back through time would exceed Darwin’s expectations. Scientists across a range of biological disciplines use a technique called the molecular clock, where the past is deciphered by reading the stories written in the genes of living organisms. On the largest scale, the molecular clock has enabled palaeontologists to unveil the story of evolution over millions of years. And on the smallest scale, epidemiologists are able to trace the spread of disease over mere decades. Sometimes known as the “evolutionary clock” or “gene clock”, the molecular clock has foundations in the biological concept of heredity: all life inherits information in the form of genetic molecules (usually DNA) from the previous generation. Since this material gradually changes over time, it can be used to measure how long ago evolutionary events took place. A metaphor where information is passed through time can illustrate the concept. Imagine an isolated monastery where an ancient book is copied out by generation after generation of monks. One year, a monk decides to venture forth into the world and he founds a new monastery, taking a copy of the book with him. He continues copying the book out to preserve it through time and minor errors inevitably slip in. These don’t alter the meaning in the book, so they are not noticed or corrected, and subsequent copies incrementally accumulate changes. Centuries later, a researcher comes across the two monasteries and concludes that they once had a common origin, because each has a book so similar that it couldn’t have originated independently. She wants to know how long ago the history of each book diverged, and studies the differences between the two books. Having already studied many texts, she knows that these differences (variations in spelling, mostly) crop up at a fairly steady rate over time. She finds that the texts differ by 100 changes per page, and from this she calculates that the books had a common origin around 500 years ago (100 changes, each one taking 10 years to appear, all divided by two since differences were accumulating in two different book “lineages”). Our metaphorical book represents the genome and each chapter is a gene, itself composed of the sequences of the nucleotides A, T, C and G. The monasteries are the species, and the monks are the individual members of that species. The changes are genetic mutations. Changes that make no difference to the meaning of the DNA are neutral mutations, and these can accumulate in the genetic code without being corrected or discarded through natural selection. Since we can read the genetic code, we can compare species at this fundamental level and infer their evolutionary history. The complexity of biology, however, makes the cogs of the molecular clock more fiddly than hoped. Three aspects of evolution can mislead the molecular clock. Evolution can be convergent, where different species independently evolve to appear similar, making it easy to mistake them for being closely related. For instance, it would be wrong to think that sharks and dolphins are close relatives because they look similar. They simply have comparable habitats, prey and pressures to survive and so have converged to look vaguely similar. The same can happen with DNA. Some genes can evolve quickly and changes may overwrite each other (“saturation”), contravening the proportional relationship between the amount of change and amount of time. Sections of the genome are occasionally duplicated, or lost, or even transferred between distantly related organisms (horizontal gene transfer), which can make comparing like-with-like difficult. Careful selection of our data minimises biases of these kinds. Another problem is that the rate of genetic change is not always consistent. Different parts of the genome evolve at different rates, and these rates have also changed over time. The solution is to fix known amounts of genetic change to known amounts of elapsed time: fossil calibration. For some lineages, we know how long ago they shared a common ancestor because we have a fossil of that ancestor, and through techniques such as radiometric dating we can tell how long ago it lived. From knowing the relationship between the timing of a divergence and the amount of genetic change between two lineages, we can extrapolate this relationship to the rest of the evolutionary tree, estimating when other divergences occurred. In light of uncertainty in fossil dating and the rates of evolutionary change, the molecular clock cannot provide high levels of precision, but when used correctly it can still prove accurate: the lack of precision reasonably reflects our uncertainty about the past. After all, speciation itself does not happen in an instant, but over considerable time-periods. For example, to say that chimpanzees and humans diverged 8,028,519 years ago is less useful than saying they diverged 8 million years ago, plus or minus 300,000 years. This kind of uncertainty can be minimised through effective use of calibrations and by making the most of the data available. The molecular clock has provided a narrative for evolution across short and long timescales. In 2012, researchers concluded that the AIDS epidemic in India had a common ancestor 40 years ago, and from this they could infer the spread of the disease. This informed medical policy, helped to predict where the disease would spread, and allowed the pre-emptive and effective deployment of resources, saving countless lives because of it. Palaeontologists use the molecular clock technique to unveil deep history, often in groups with poor fossil records. For example, penguins are known to be descended from a recent (geologically speaking) ancestor, around 20 million years ago, while the first complex cellular life is now known to have emerged from bacterial lineages more than 1.2 billion years ago. These examples provide valuable insight into past environmental and ecological conditions, and expand our knowledge of the dynamics of evolution. As we continue to advance our understanding of evolution, we come closer to realising Darwin’s vision of a comprehensive draft of the Tree of Life. Were he to spring from his grave, he would delight at what has been achieved, poring over the details of the relatively recent kinship of hippos and whales, and the truly ancient links between bacteria and mitochondria. With the molecular clock we not only build upon the tree of life, but clarify the spread of its branches and the depths of its roots.